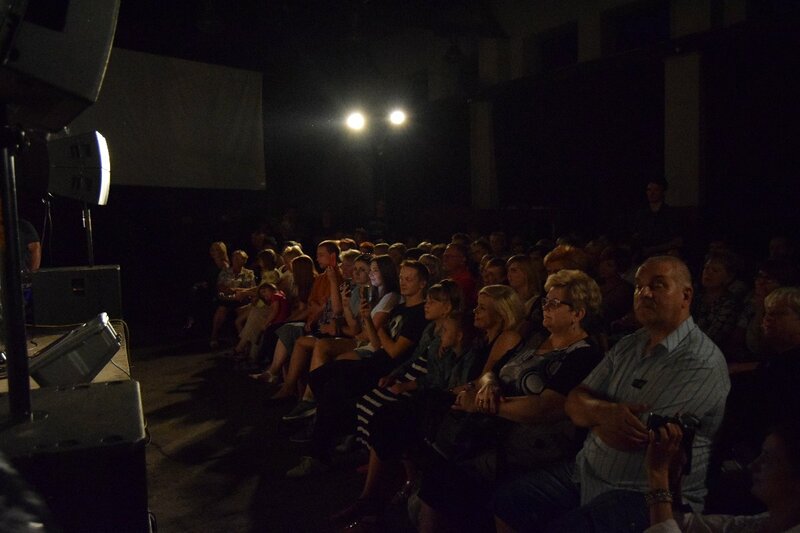 After couple of years of break, we hosted again the performance of the well known theatrical group from Skierniewice – Banana Perwers. 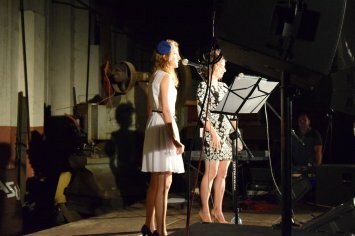 They returned to the stage in the Shed in style! 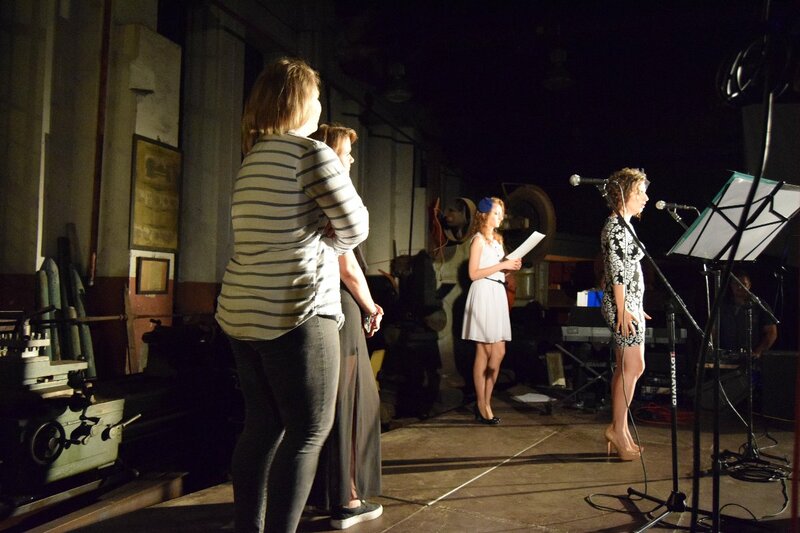 On Friday evening, 26th September, the performance of Dominika Dawidowicz and her talented students: Zuzu Ambroziak, Zuzia Dzięgielewska and Estera Esti Kukier, gathered more than 140 fans of songs by Anna Jantar, Agnieszka Osiecka, Krystyna Prońko, Maryla Rodowicz or Old Gentlemen Cabaret. Piano accompaniment was provided by Włodzimierz Stefanowicz. Second part of Valunteers Camp in Engine Shed concluded! It was not a long time after the first part of the Volunteers Camp when we started enrollment for the next part. We convinced ourselves that many of the former participants treated seriously their declaration to take part in next edition of the event. 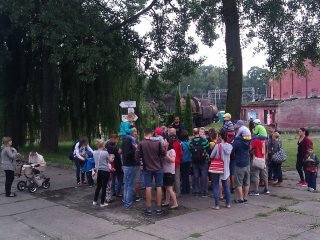 To our joy, more then half of participants of previous camp returned to us. Another five people took part in the camp for the first time. 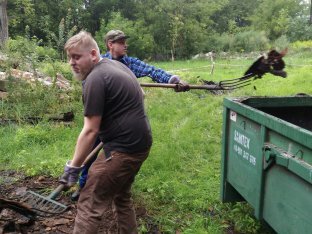 It is worth noting, that during the weekend top-time, there were more than 20 volunteers and PARE members working in the Shed. 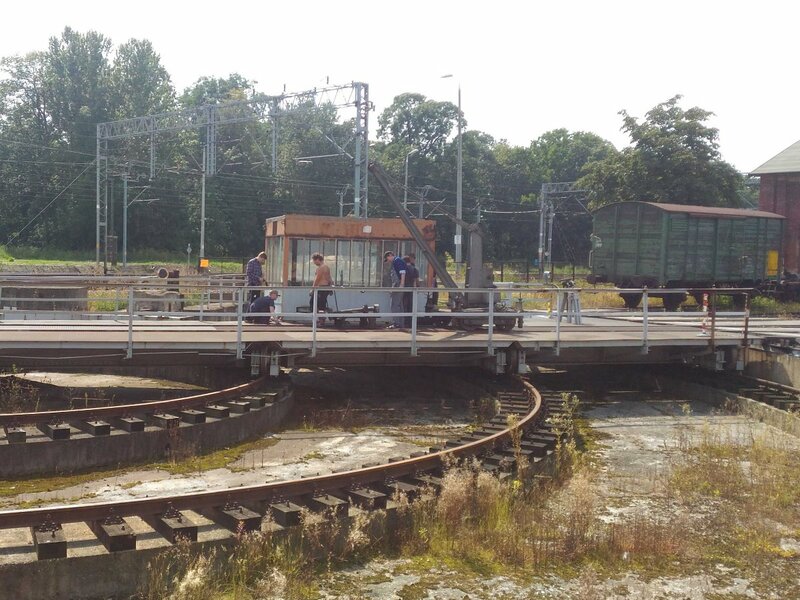 We continued with already known to the participants program of activities, which we had to modify due to the malicious weather – once scorching hot, once soggy and rainy. 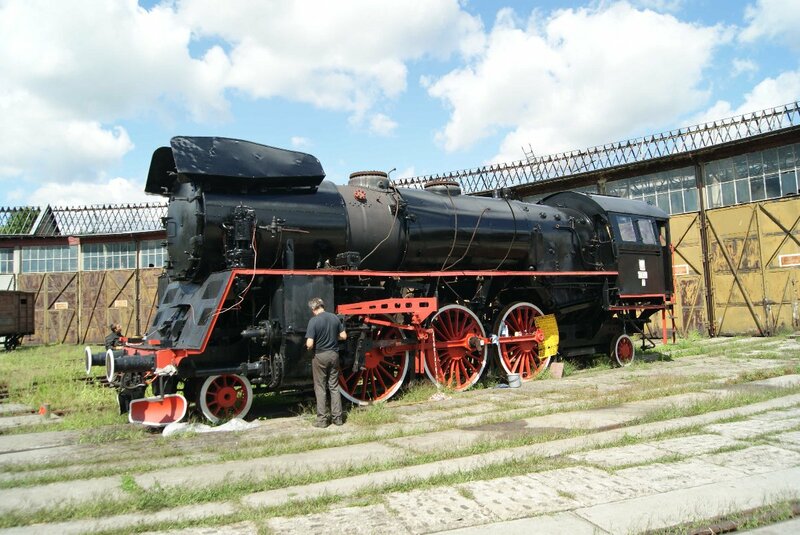 We focused on the renovation of class Ol49-4 and cleaning up the surroundings of the shed. 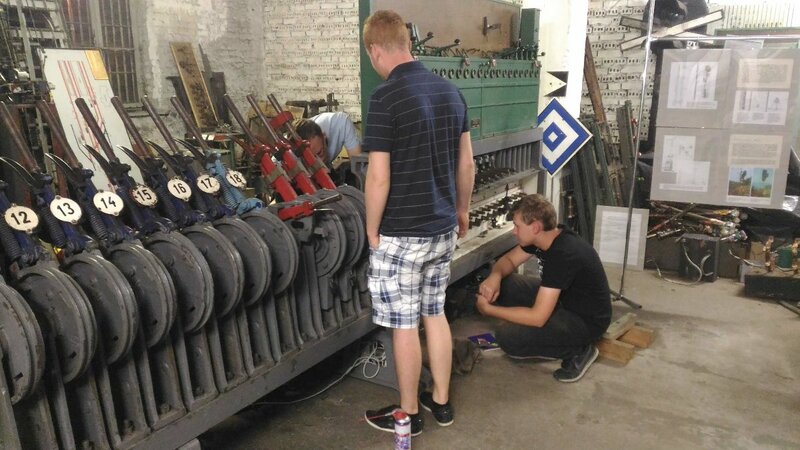 We also encouraged the volunteers to help in other activities – support in tour guiding, repair of turntable motion mechanism or organization of new telecommunication exhibition. On Saturday’s evening we organized a presentation of old educational movies from our collection. 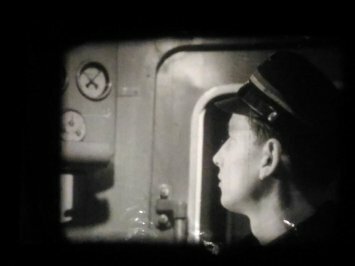 Most of the original, 16mm-tape movies were related to railway topics. We would like to express our gratitude to all the participants of the Volunteers Camp. 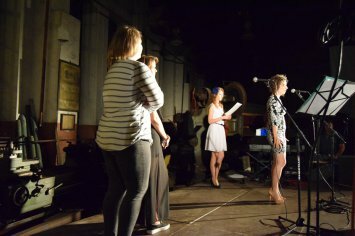 On Friday, 26th August, at 8PM, after a couple of years of break we will again host a performance by theatrical group Banana Perwers. 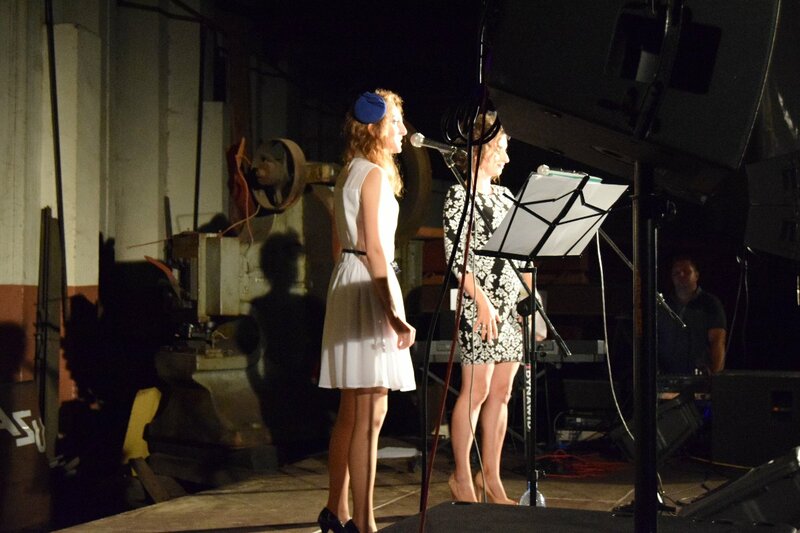 This time we will hear the talented vocalists from Warsaw: Zuzia Dzięgielewska and Estera Esti Kukier as well as the artist from Skierniewice – Zuzu Ambroziak. Piano accompaniment will be provided by unbeatable Włodzimierz Stefanowicz. 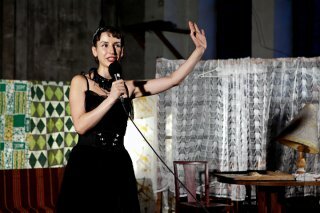 The event is organized by the Group Banana Perwers and Club Oaza in cooperation with PARE. He event patronage is provided by City Council of Skierniewice and Public High Vocational School in Skierniewice. 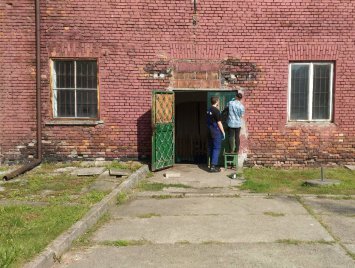 In Autumn 2015 The National Institute of Heritage initiated a competition for financing the volunteer activities for the historic heritage. 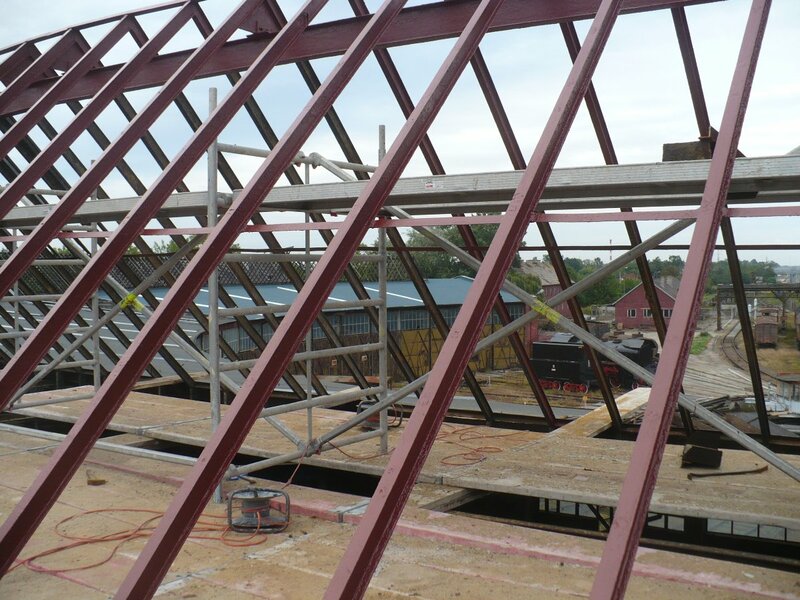 We wrote the application entry, gathered the vital documentation – we applied to the competition in December 2015. 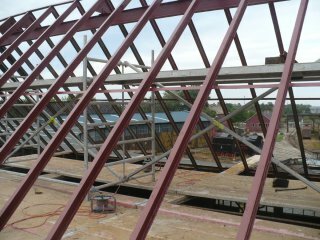 We had to wait till Spring to learn about the positive results, yet it was no sooner than in June when we signed the financing agreement. 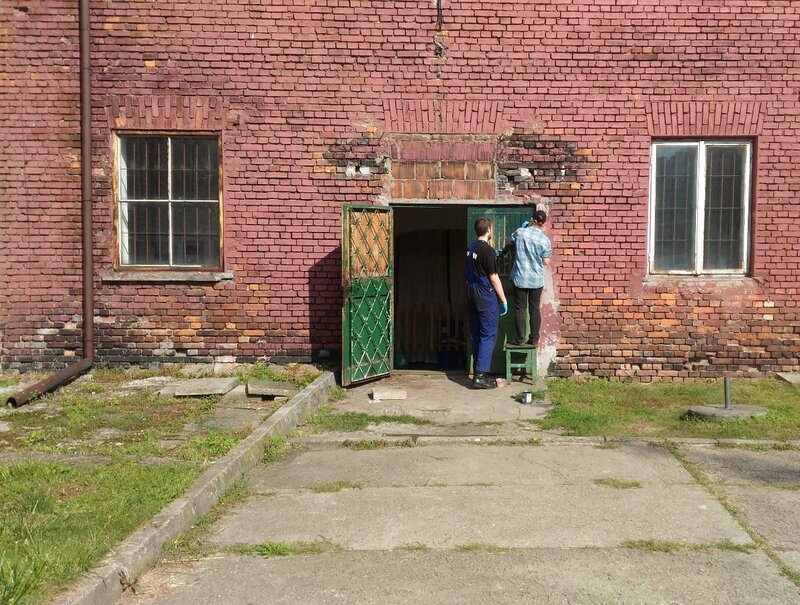 Full of concerns about possible success or failure of the project, we started preparing the main part of it, namely – the Volunteers Camp. Due to the lack of full-time employees we had to split the event into weekend camps. We started the enrollment and impatiently waited for the first applications. To our great surprise, there were more applications than we expected. Therefore, despite we offered an overnight stay, some of the participants had to commute each day to the Shed and some were accommodated outside the facility. 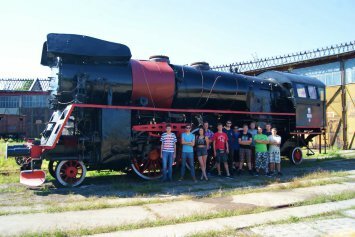 14 daredevils from different parts of Poland (sometimes as distant as Szczecin) took part in the first part of the camp, which lasted from 5th to 8th August. All participants arrived in Skierniewice on Friday afternoon. First day was devoted to show the volunteers around and make them familiar with the collection and rolling stock placed in the Shed. 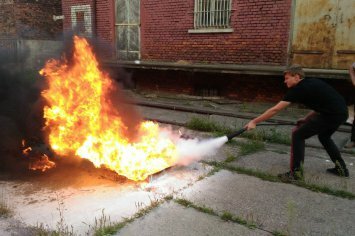 We also devoted some time for a general Health and Safety training with strong emphasis on fire hazards and firefighting. The practical part of the training consisted of actual fire extinguishing with different types of extinguishers. We guess that such form of training will provide the participants much more vital experience than dull theoretical lectures. The evening was spend on common dinner and long talks. 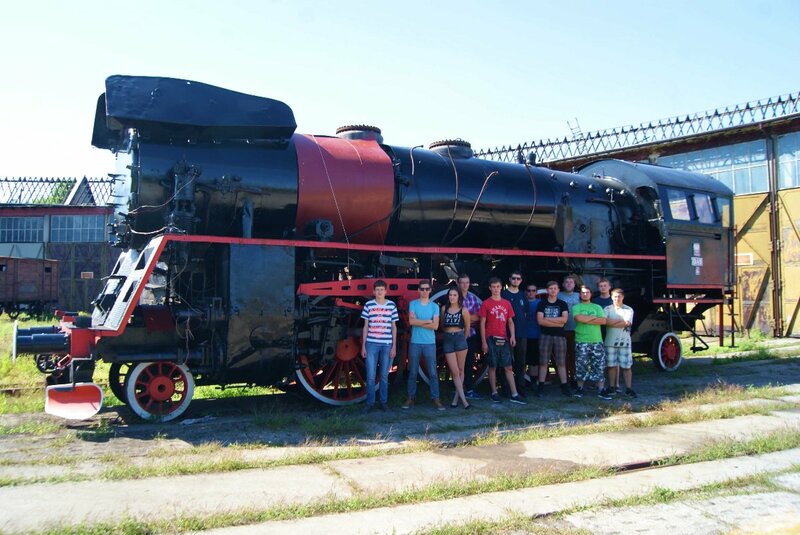 During the first camp we wanted the participants to “taste” the different activities which are performed in such a large facility like historical engine shed. 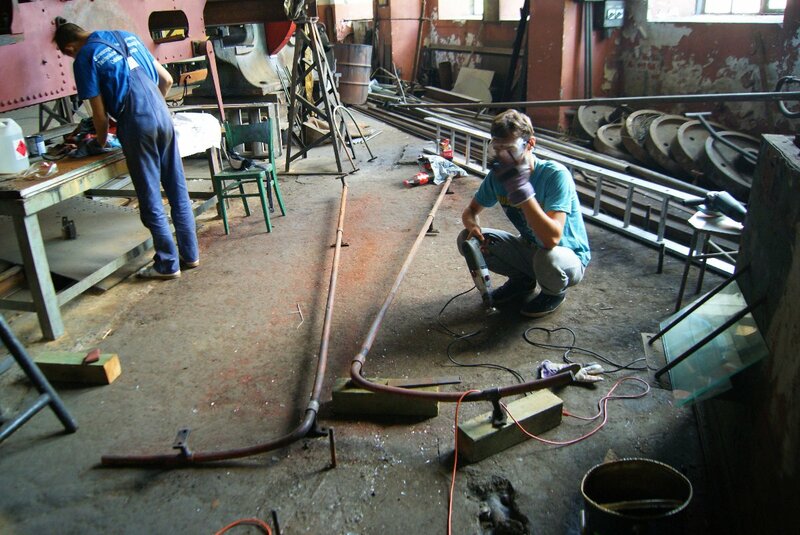 Therefore, we encouraged them to take part in each type of work, even if it does not seem to be the most attractive. 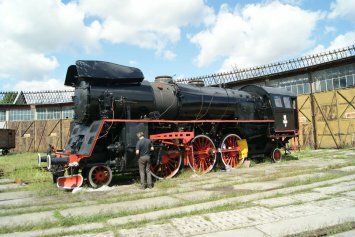 One of the most important aspects of existence of the facility like our Shed is the education and promotion of railway history. Open days were a perfect opportunity for the volunteers to try the work of a tour guide and help in the preparation of the event. 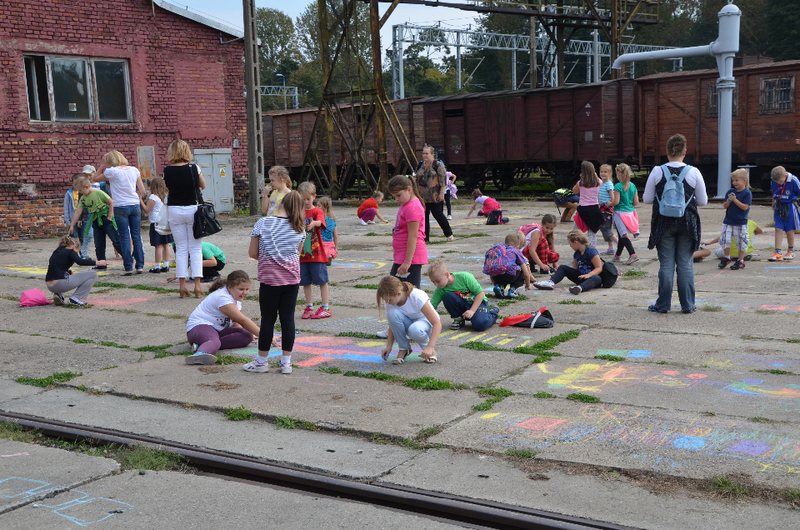 Participants of the Camp also took part in the upkeep of the area surrounding the shed e.g. care for the green areas. 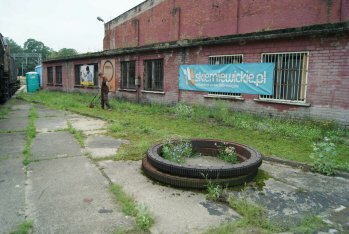 Those eager to “exercise” in the fresh air could help clean up the remains after the building renovation works. 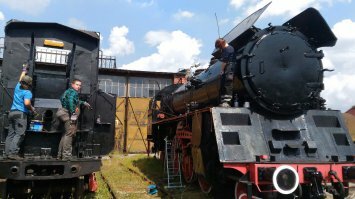 Large number of volunteers brought the life back to the Shed, so for the external observer it seem that the facility is working as during its best times. Yet, the most popular of works was the renovation of the class Ol49 steam engine standing in front of the roundhouse. 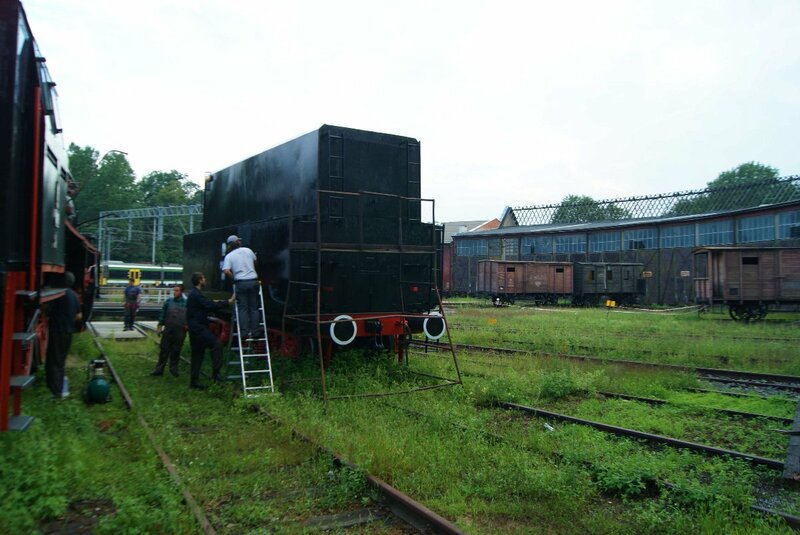 Volunteers helped in cleaning the vehicle from the old paint and preparation of the cleaned surfaces for painting. 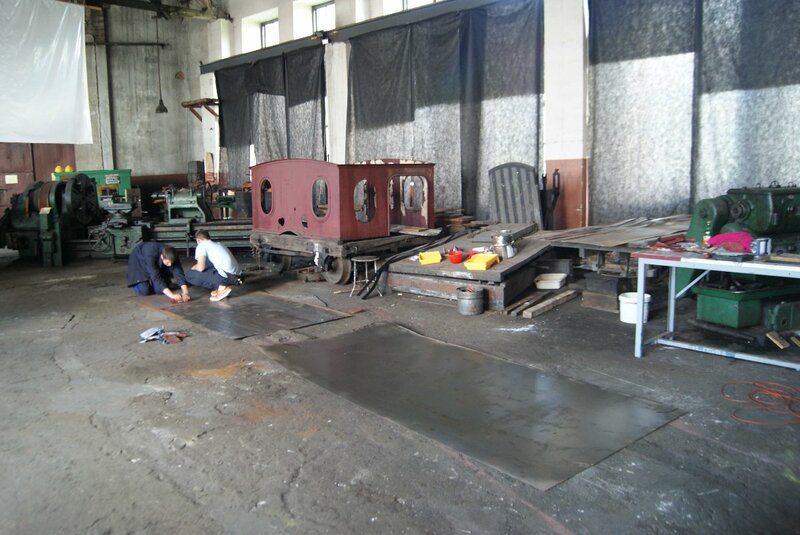 They also helped in tracing and cutting the sheet metal for boiler covers, and regenerated the multiple small parts and fittings which will find their place on the engine after the final painting. The organization of the first Camp was a very interesting challenge that, with only minor shortcomings, we managed to accomplish. The work completed by the participants will undoubtedly speed up many activities in the Shed, especially those related with renovation of class Ol49-4. For the volunteers it was a unique experience, opportunity to meet new people and effectively spend a free time. And are the participants satisfied with the stay? It seems yes – many already declared they want to help us more, even during the next camp. As there is nothing more exciting like evening walk through the sleepless roundhouse or late-night fight with stubborn lever frame. On 20th August we would like to invite you to yet another photo plain-air. The participants will be registered before beginning of the event (up to 6:30 PM). Free admission! 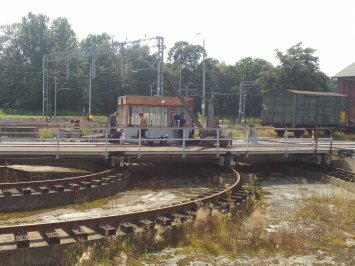 Usually, during the summer open days we note smaller number of visitors. However, the competition from sunny beaches and cool water on the seaside becomes less of a problem when clouds and rain appears. On Saturday, 6th August, weather did not encouraged to spend a free time in open air, yet did not discouraged to go and visit some enclosed space. This way we were visited on that day by 366 guests. 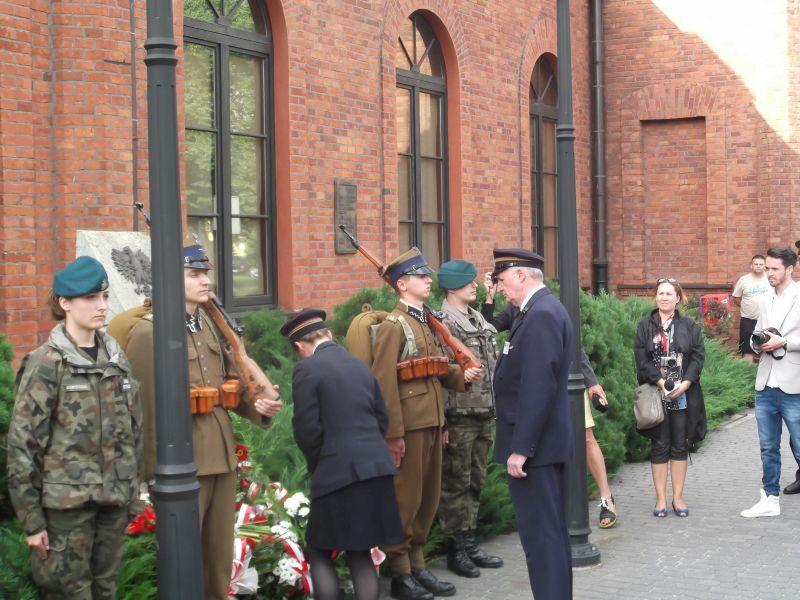 On 1st August we took part in the celebration commemorating the outbreak of Warsaw Uprising. 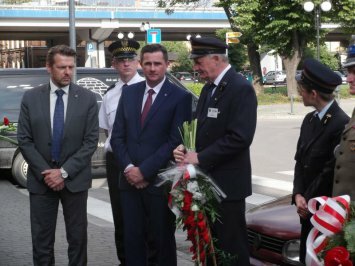 Together with representatives of City Council, we put the wreath on the monument commemorating the prisoners of Pawiak burn alive in a railway car in Skierniewice railway station in the last days of July.